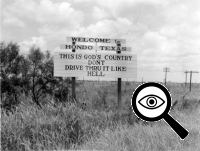 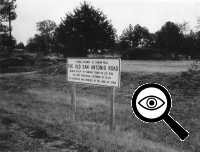 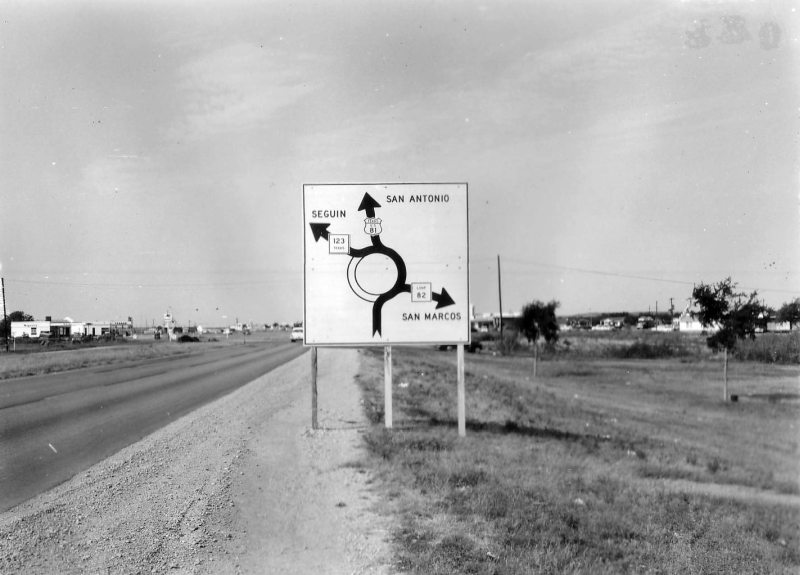 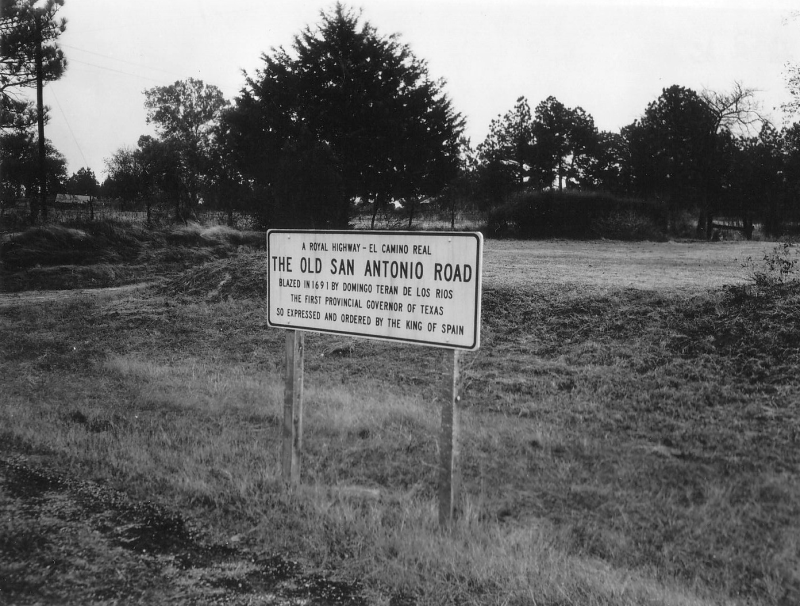 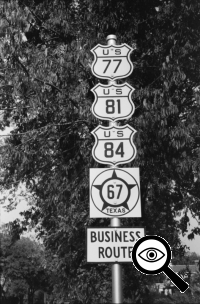 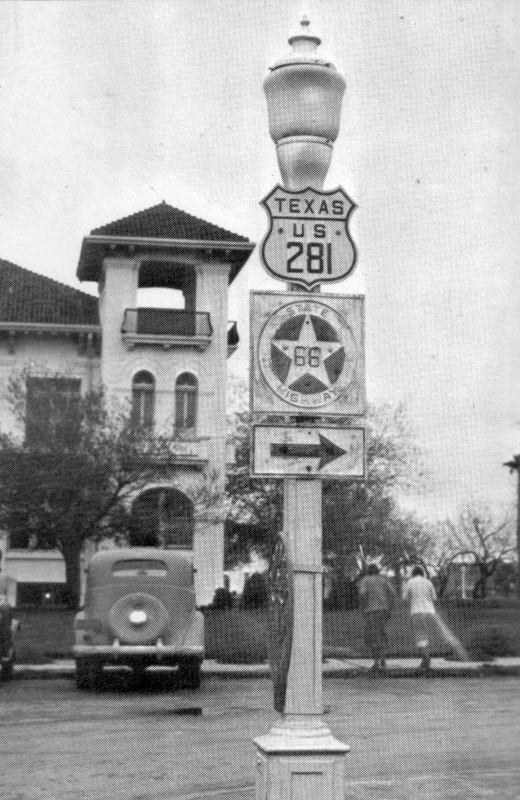 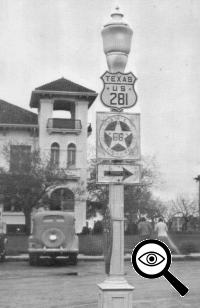 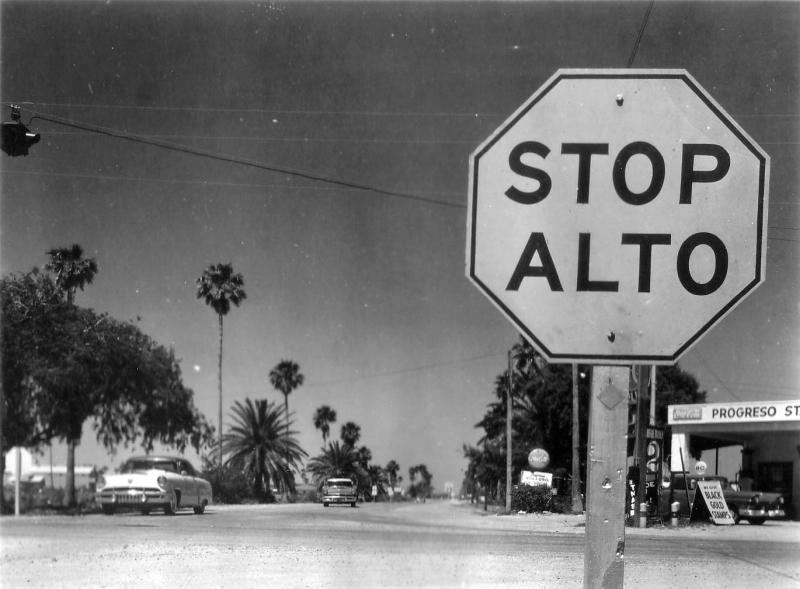 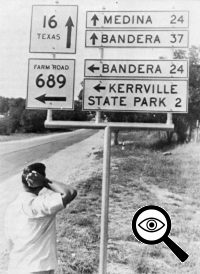 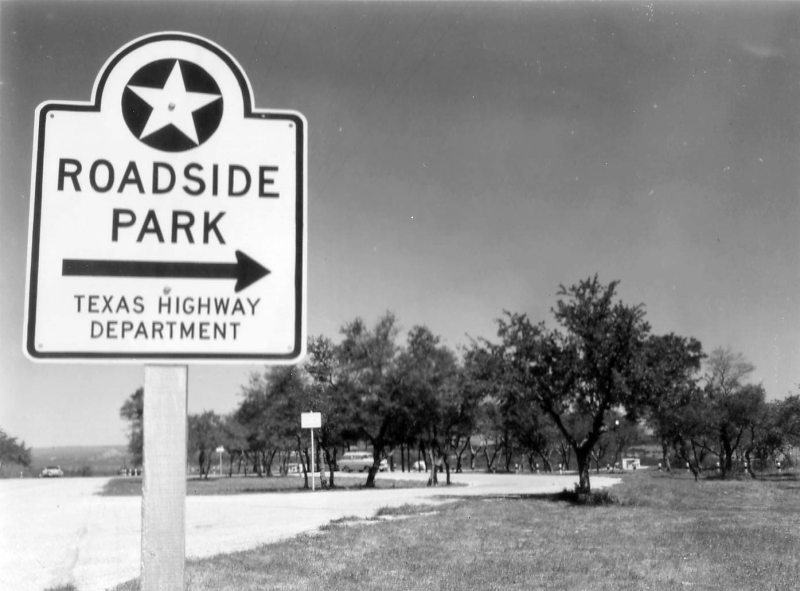 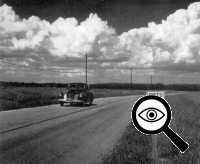 Below are historical photos of road signs in the San Antonio area as well as a few from elsewhere in Texas. 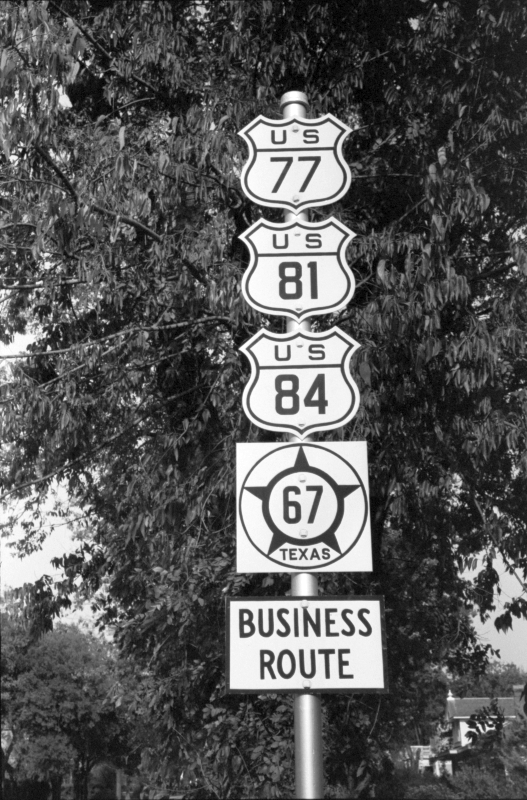 Most of these photos are from the TxDOT photo library (special thanks to Anne Cook at TxDOT for her assistance!) 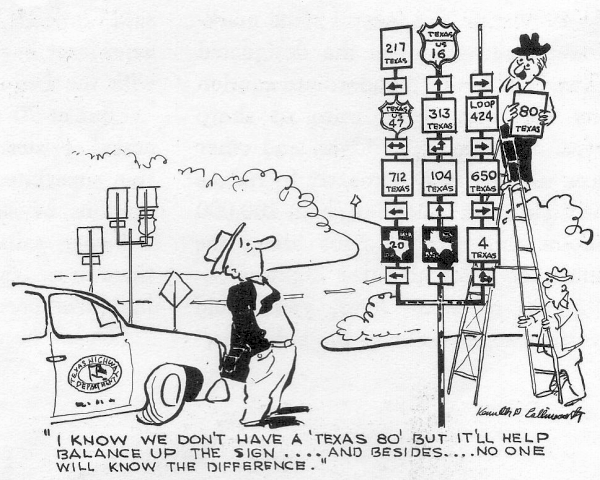 as well as Texas Highways magazine. 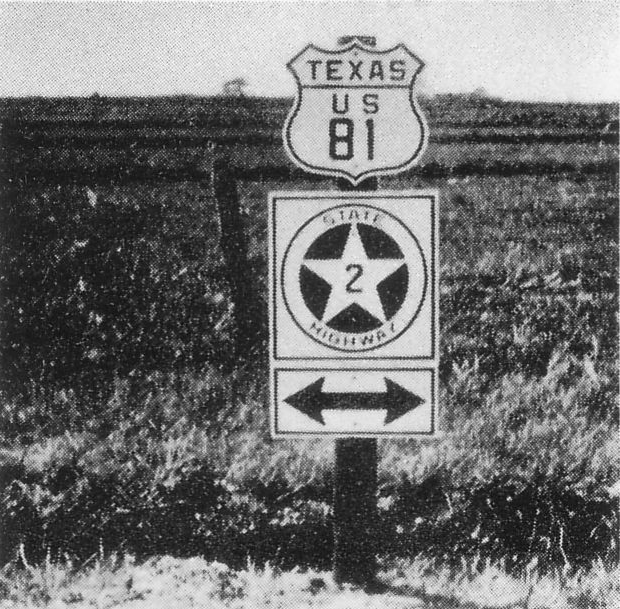 This was the original Texas State Highway shield. 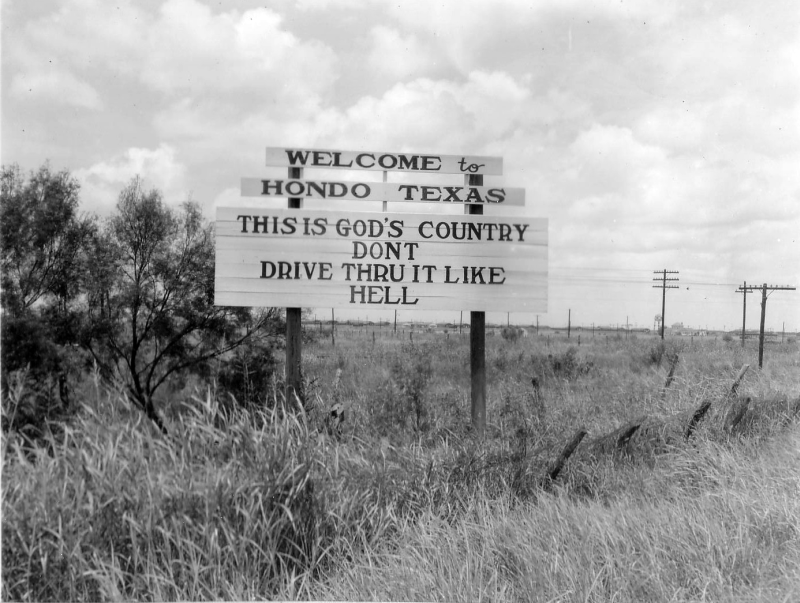 This one is for SH 35, probably between Houston and Corpus Christi. 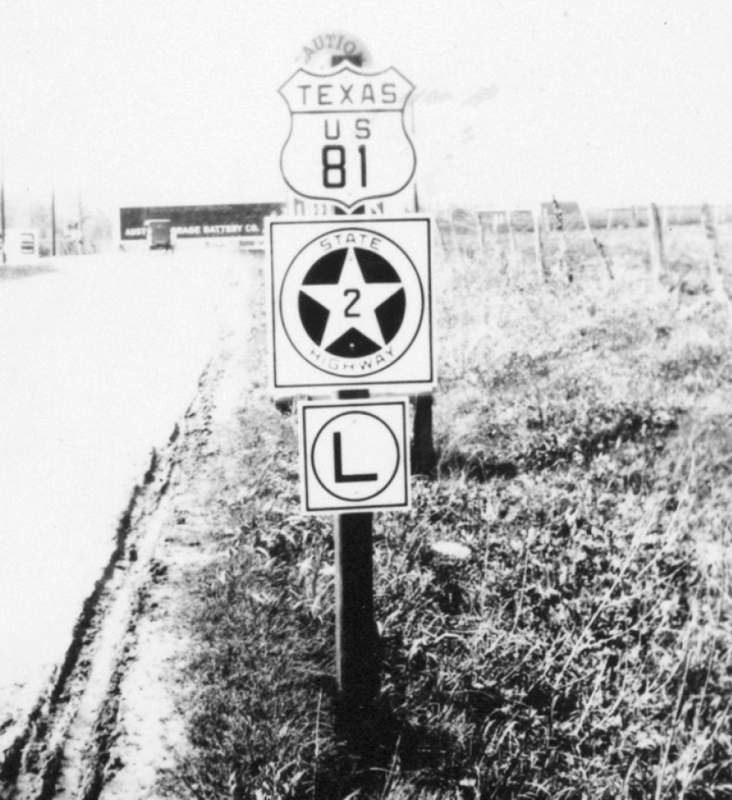 This shows the first version of the US Highway route shield. 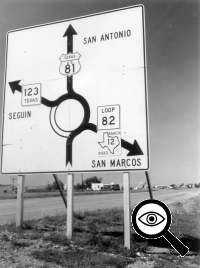 The "L" sign at the bottom indicated that these routes turned left at the intersection ahead. 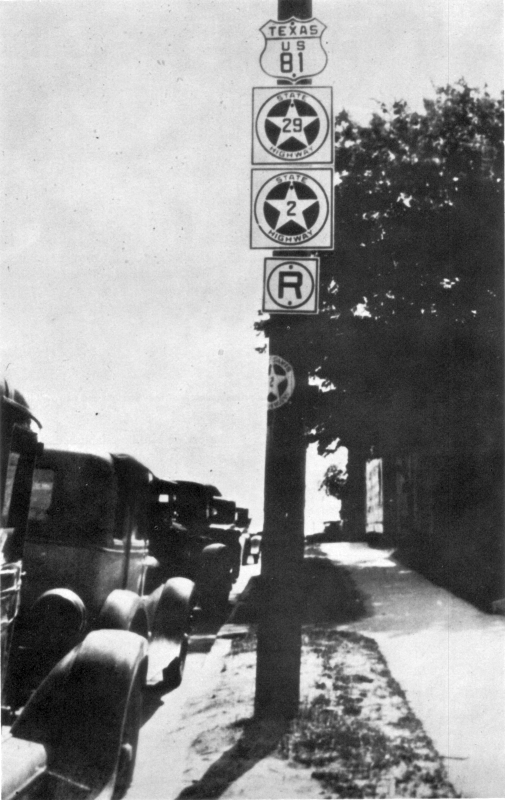 Like the one above, the "R" sign indicated that the routes turned right at the intersection ahead. Also note the state highway shield wrapped around the pole-- likely an even earlier marking for the route. 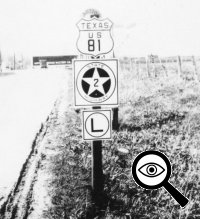 Of note is the larger area in the middle of the state highway shield for the number. 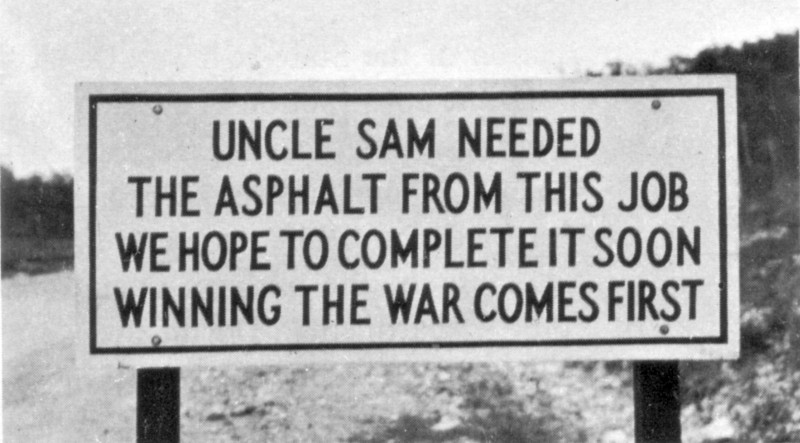 But perhaps even more noteworthy is the extreme condition of the roads. 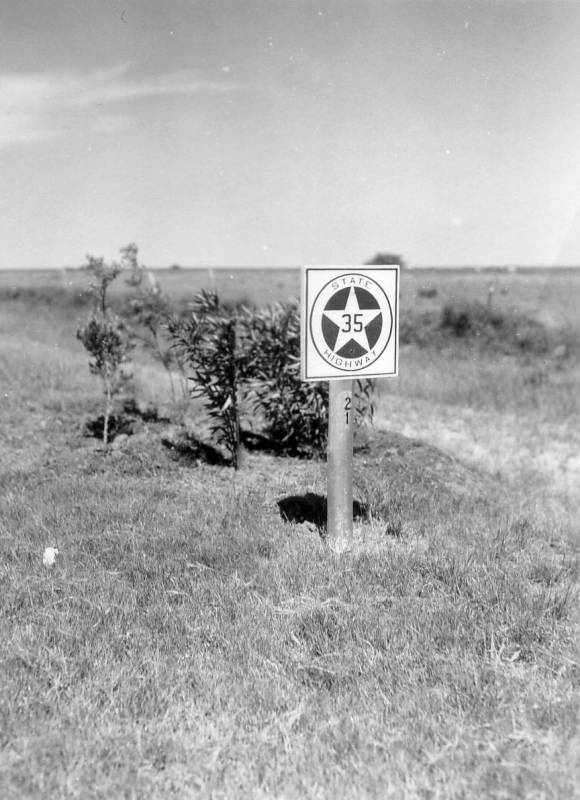 This is the only photo I've found showing the second-generation state highway shield. 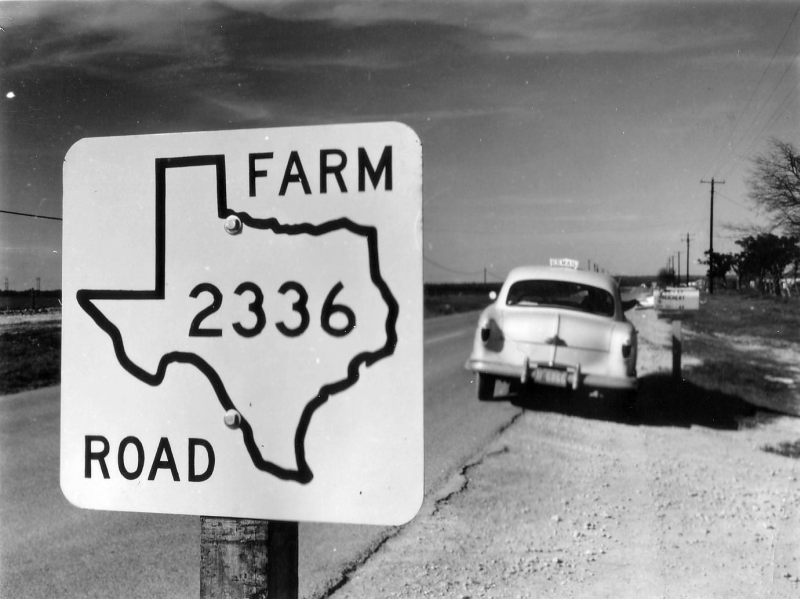 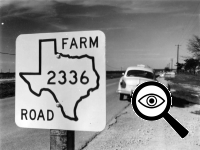 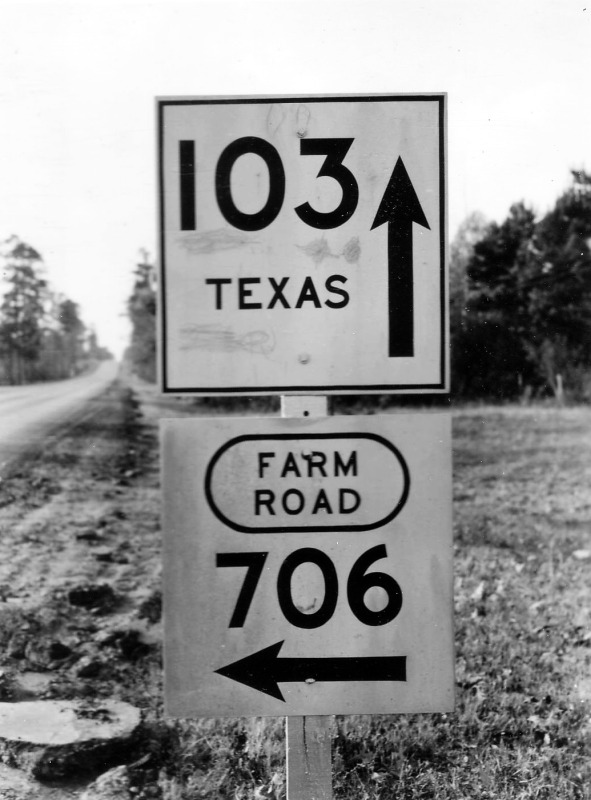 An early version of the Farm-to-Market road sign. 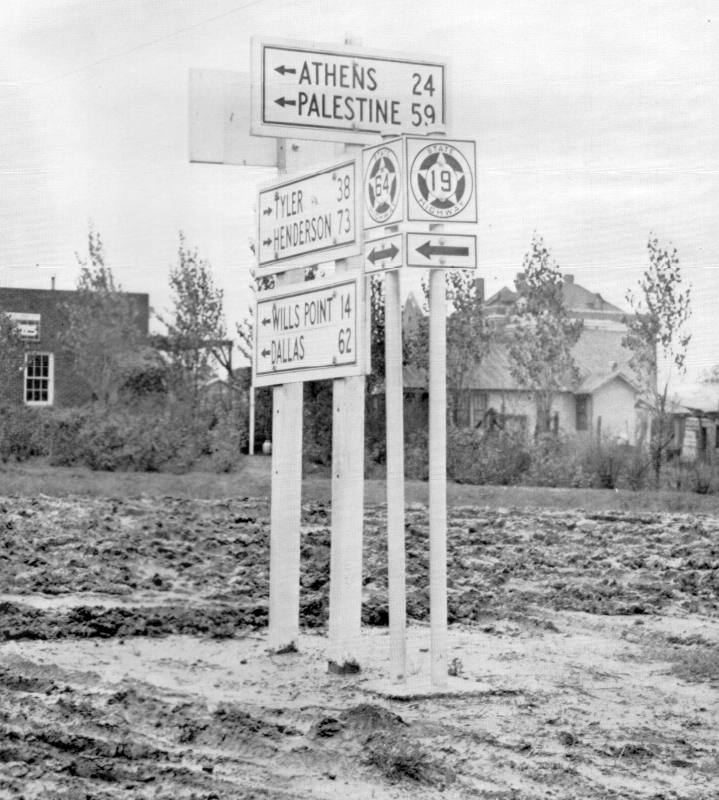 Note the integrated arrows on the route signs. 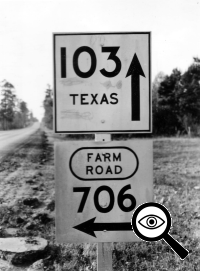 Another early version of the Farm-to-Market sign (left bottom). 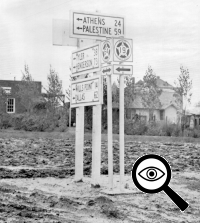 Note that directional signs were black and white at this time. 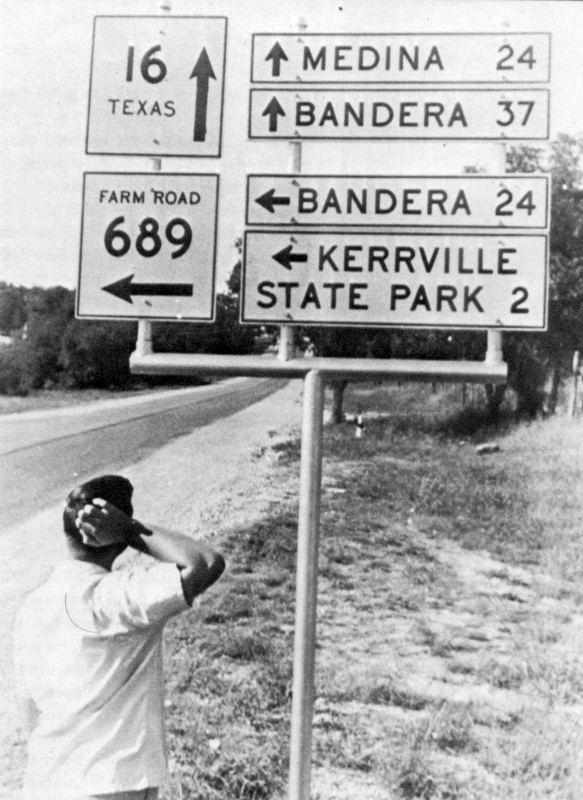 This picture was printed in Texas Highways with a caption regarding the Highway Department not being involved in politics. 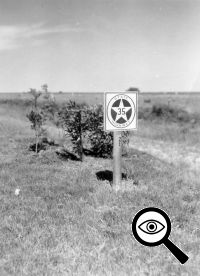 First version of the contemporary Farm-to-Market sign. 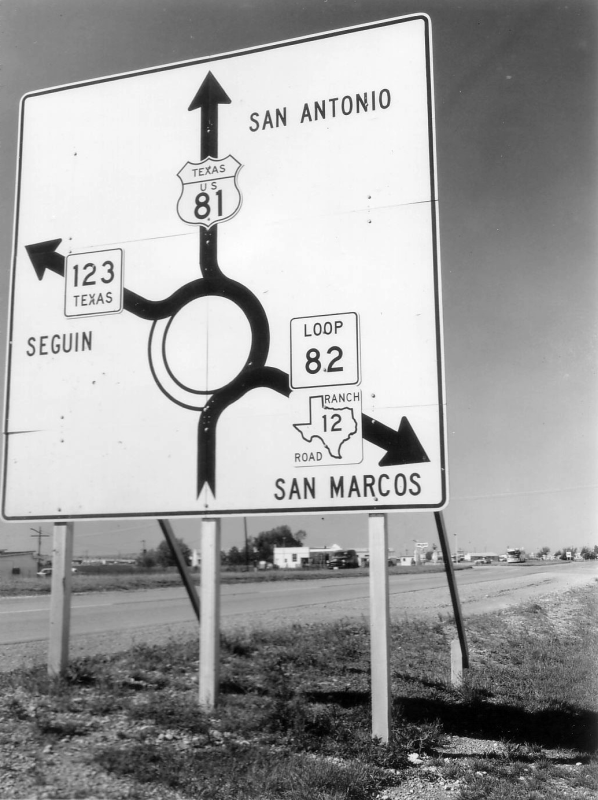 This is today's intersection of I-35 and SH 123. 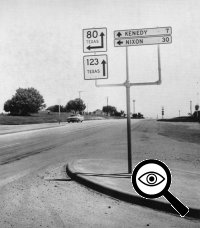 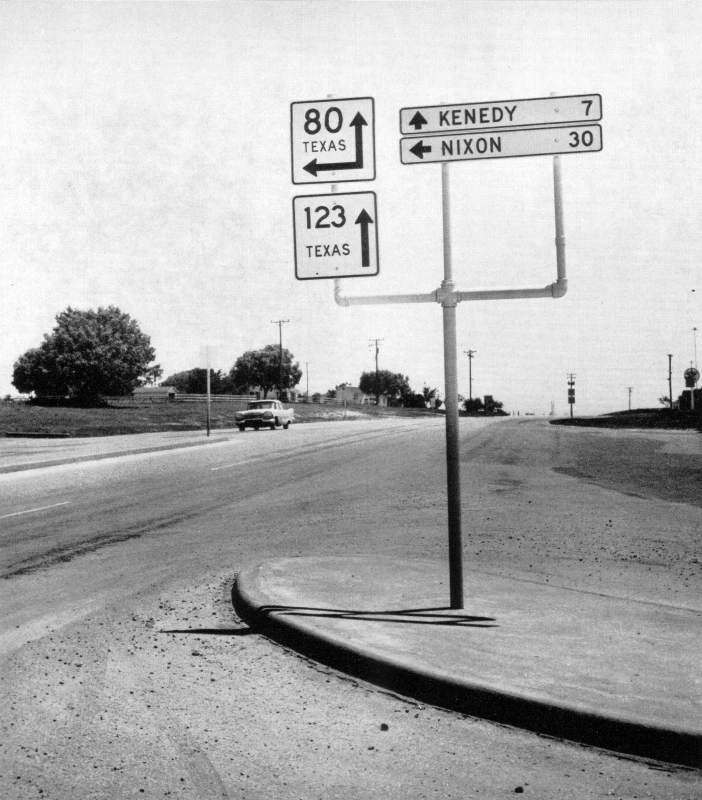 As you can see from the sign, this intersection was a traffic circle before I-35 was built. 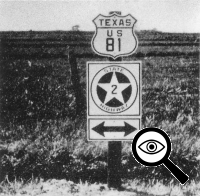 A later version of the sign above. 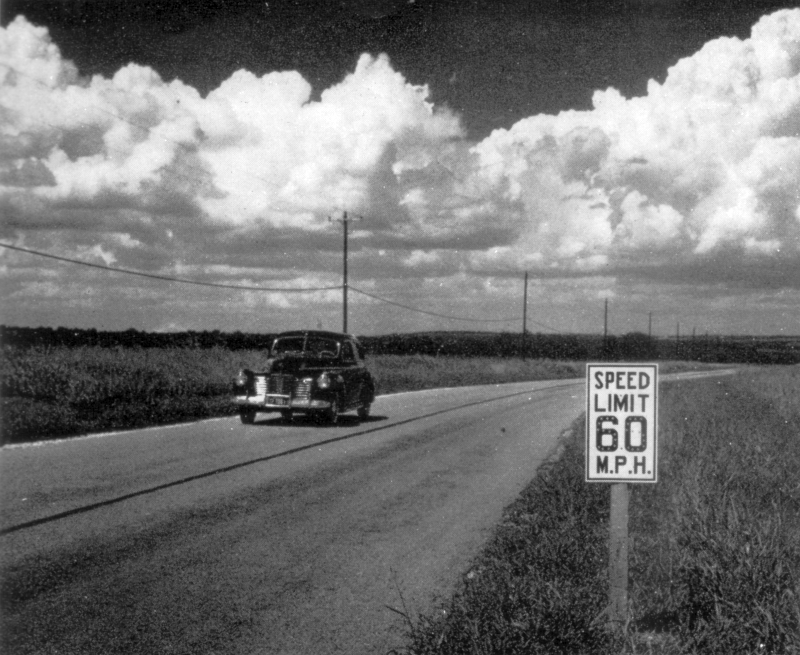 It's hard to see, but there are reflective buttons overlaid on the "60" that show the nighttime speed limit of "55".